Let Eau Claire Communications install your home wiring system. Does your business have employees that work from home? Are you trying to establish your home office? Do you need a TV, phone, camera, or computer jack added or moved? 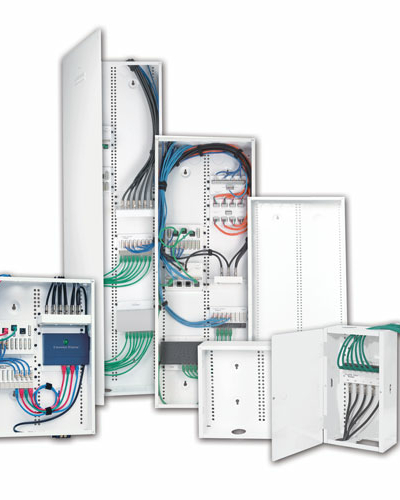 A central structured wiring location features an enclosure that houses and organizes the equipment needed for your various telecommunications services. This enclosure typically houses your modem, router, multiplexers, punch down blocks, video splitters, audio integration, and the cable TV boxes or satellite receivers. Maintaining these systems is especially easy when a network is labeled and organized. Structured wiring enclosures are most often located near the electrical panels and ideally are installed when the house is built, but can be installed in existing homes as well. A small telephone system can be installed to use for your home office, which can be used as an intercom, paging, and telephone line sharing system for your home. We can install new or move existing telephone jacks anywhere in your home. Devices are also available to use cell phone numbers on your phones that are currently using landlines, eliminating those specific costs from the telephone or cable company. 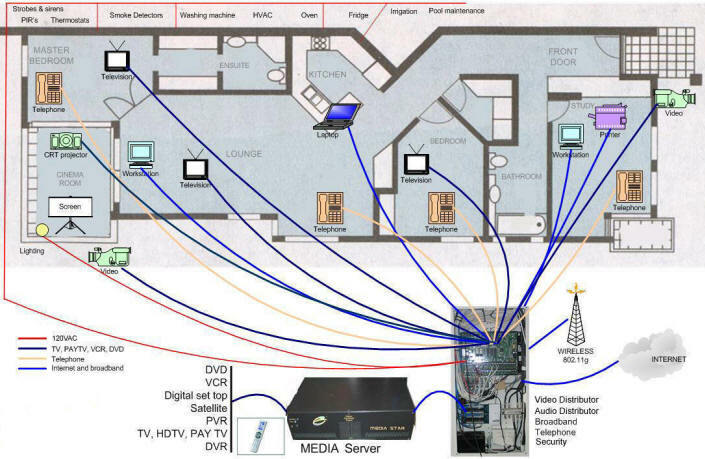 Eau Claire Communications can install ethernet cable wiring for computer networks, coaxial cable for television, and wiring for sound systems in new and existing homes. Whether you’re in need of installation, repair, or replacement, we have your wiring solution. Feel free to call us with any questions regarding these installations or any other low voltage wiring needs you may have.